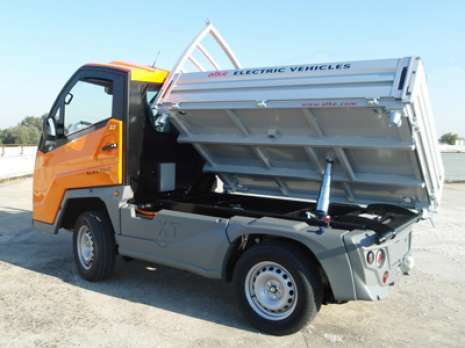 The XT electric vehicle with 3 way tipper represents an irreplaceable working partner. 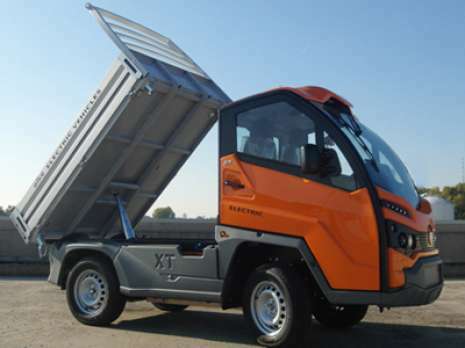 The XT vehicles with 3 way tipper are part of the futuristic XT line, the result of more than ten-years of experience in the electric vehicle sector. 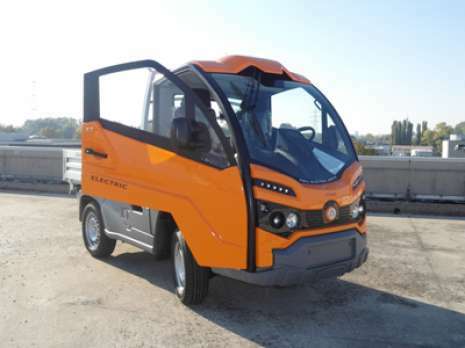 Alkè combines the advantages of the vehicles driven by electricity with those due to technological advancement, which together make XT the jewel in the crown of the Alkè offer. Designed for work in town areas, the XT vehicles with 3 way tipper can reach up to 58 km/h with range of about 140 kilometres, thanks to the optional double battery assembly mounted on board. This can also be extended by recharging during standstill phases using the power supply cable that is suitable for most common electric sockets. This is more than enough to tranquilly carry out daily tasks, which require that handling of large amounts of material. 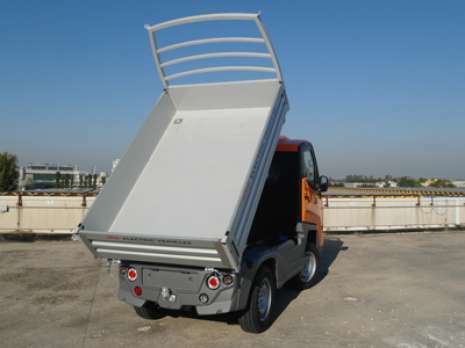 The transport capacity is high, up to one tonne on the loading bed and four tonnes when towing, and the possibility to lift the tipper – to the right, to the left and backwards – greatly facilitates goods load and unloading operations. Tasks such as loading waste, sorting even heavy materials, moving equipment and signs, in town areas, or delivering linen or transporting playground equipment to residences and tourist villages are only a few examples of the enormous flexibility of use of the XT vehicles with 3 way tipper. 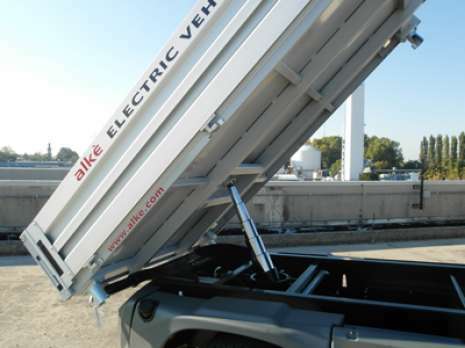 These electric vehicles with 3 way tipping are therefore ideal for towns, tourist villages, maintenance of green areas and all of those work operations that generally require easily performed unloading operations.